With a sunset bronze finish, this 4 piece kitchen appliance package from RC Willey is for sale now. This package comes with a side-by-side refrigerator, dishwasher, slide-in electric range, and over-the-range microwave oven. When its time to remodel, refresh or build your dream kitchen, RC Willey has you covered. 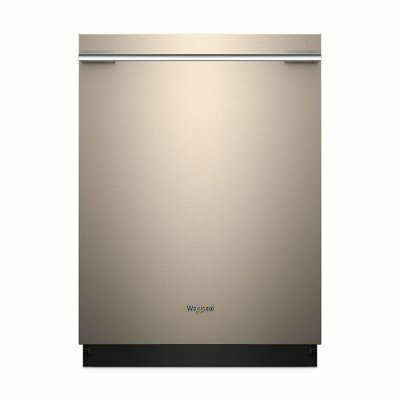 This Whirlpool built-in smart dishwasher from RC Willey comes in a modern Sunset Bronze finish and is designed to handle your dirty dishes with care. Say goodbye to crusty dishes and greasy pans. Control your dishwashing cycles from your smartphone or tablet. Take advantage of 37% more rack space to load more dishes and get extra room for hard to fit items. 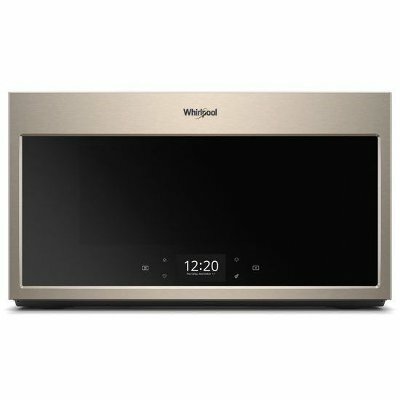 Bring home this Whirlpool over-the-range microwave from RC Willey today. With a stylish sunset bronze finish, this microwave is both good looking and effective. Get the right settings every time. Scan a frozen food barcode with your smartphone or tablet and send recommended or customized cooking instructions straight to your microwave for dinner done the way your family wants it. Get instant access to the settings you use most with a touchscreen that learns, adapts and suggests customized presets based on your family's routines. 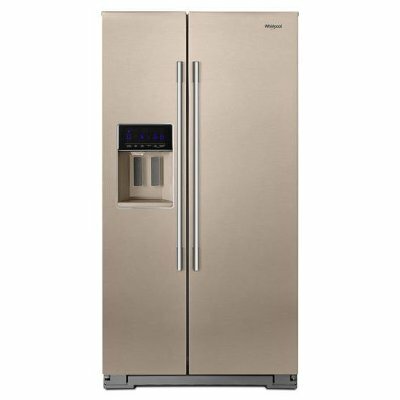 This Whirlpool 36 Inch Side-by-Side Refrigerator comes in a stylish Sunset Bronze finish that is fingerprint resistant that resists fingerprints and smudges with steel that easily wipes clean. Access fresh filtered water and ice without ever opening the refrigerator door with a built-in water dispenser. Get an extra full shelf in the freezer with an ice bin that's been moved to the door creating more space for everything you need. Cool food quickly with technology that senses and adapts to create the ideal environment for food.